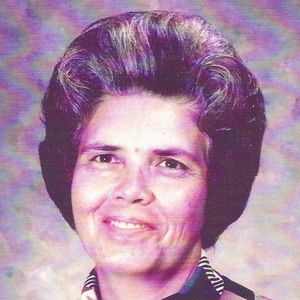 CENTRAL CITY – Bonnie Janette Casey Metheny, 86, died Saturday, June 23, 2012 at the Maple Manor Nursing Home. Mrs. Metheny was born on November 24, 1925 in Paducah, Kentucky. She was a homemaker and a member of the Powderly Seventh Day Adventist Church. She was preceded in death by her parents. Charlie and Vernie Casey; brother, Ned C. Casey; and a sister, Lunetta Ross. Survivors include her husband of 69 years, Robert Metheny of Central City; daughter, Sandra Jacobs of Colonial Heights, VA; son, Ronald Sr. (Janiffer)Metheny of Central City; six grandchildren; six great grandchildren; and a brother, Jack(Myrtle)Casey of Hopewell, VA.
Funeral services will be held Wednesday, June 27, 2012 at 11:00 AM. 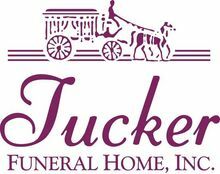 at Tucker Funeral Home in Central City conducted by Rev. Chris Rollins with burial to follow in Rose Hill Cemetery in Central City. Visitation will be after 5:00 PM Tuesday and after 8:00 AM on Wednesday at the funeral home. I know it seems like forever ago that you left us, but you will always be in our hearts, and in our minds. I know you never got to see you great-great grandson, but I know for a fact you're looking down on him, smiling. I miss the smiles everyone had on their face when you came in to my Me-Me and Papaw's house. Your smile could light up the whole room. I know one day we'll all be together once again in Heaven, with the Lord. I love you Mamaw. Grandmother was a great woman. Firm when required but generally sweet. I have missed her for years! My heart goes out to the entire family. I miss you all. Sorry but I just learned of her passing over a year later. Most of my childhood memories include Bonnie, or "Grandma" as I grew up calling her. She is a precious part of my childhood and the memories of her I will cherish all my life. If I close my eyes I can instantly remember her hugs and that laugh that was so contagious! Precious, precious woman. Just to let you know we are thinking of you and your family at this time. May you all feel God's arms around you to comfort and sustain you today and in the days to come. I just want to express my symathy to the family of Ms. Metheny. My thoughts and prayers are with you and the family. God is our Rock and her Faith will keep us strong. God Bless each of you. The memories are too numerous to count. All are precious. Our thoughts and prayers are with you. We are so sorry for the passing of your dear Bonnie. She was a great lady and she meant so much to as when we were neighbors. Ptaying for the family in this time of need.